What does it take to integrate different resources into a coherent narrative? How such a narrative based on thematic experiences can help second tier regions compete more effectively with top regions? These are key questions in Greece, as we recently completed a series of projects related to encouraging more domestic and international visitors to explore the significant destinations of Central Greece. 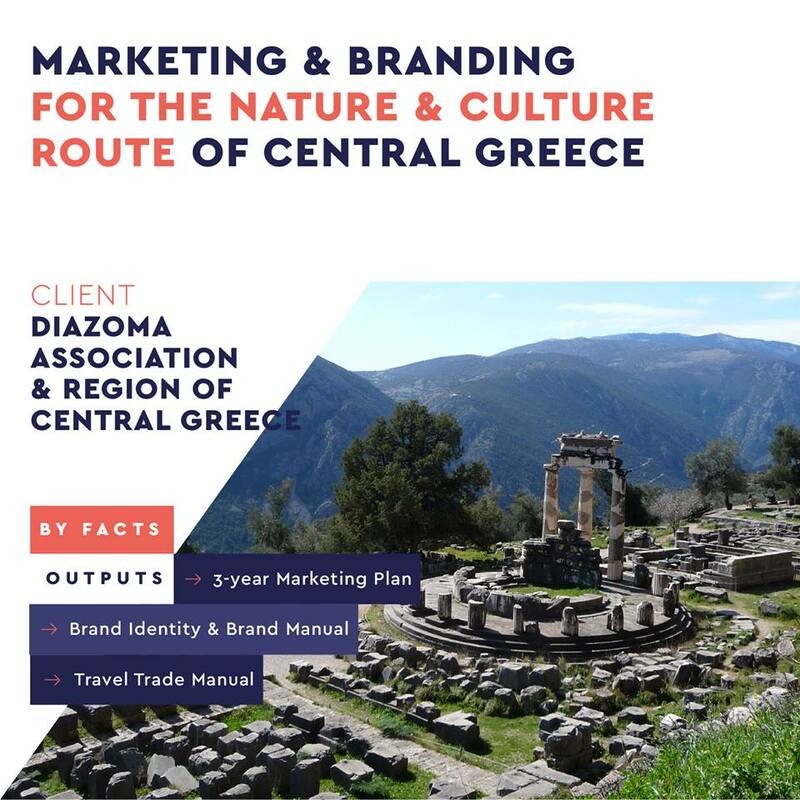 In 2016, the Region of Central Greece and DIAZOMA Association established a partnership as a vehicle for supporting sustainable tourism development and local economy and employment. DIAZOMA is a movement of people sharing the same passion for Greek cultural heritage and their mission is to help protect, restore and promote monuments. On these grounds, they saw the development of a route including 7 junctions as a driver for strengthening and spreading tourism across localities with historical traditions and unique landscapes. After working closely with both partners, TOPOSOPHY put forward a set of tools to boost early governance, product development and marketing of the route. First, we mapped out a three-year strategy for tourism success. Situation and trends analysis along with benchmarking of international best practices informed priorities for the dedicated action plan. The plan includes details on how to prepare and run a series of initiatives from a membership scheme and year-round events to fam/press trips and the promotion of thematic experiences through B2B and B2C channels. Recommendations were also given on practical issues ahead of the launch of a destination marketing-management organization under the Region of Central Greece. Second, Toposophy provided the partners with a series of proposals about brand identity. The non-linear and multi-thematic nature of the route informed a lengthy process where brainstorming and stakeholder meetings paved the way to consensus. The final output is accompanied by a comprehensive manual including brand usage guidelines and examples of visual elements (creative work on the Brand Manual was made by Kommigraphics).